For the last twenty years I’ve balanced many things: being a writing, homeschooling my kids, and working with a crisis pregnancy center/teen mom support group. For most of the years I thought THOSE THINGS were my “ministry.” After all, those were the things that impacted others, drew them to Christ, and made a difference. God has a big plan for your life. Your children are a wonderful part of that plan. Serving others in your work/ministry are another wonderful part of that plan. Doing both together benefits both your kids and your work. After all, the best way to teach your kids to “walk in the calling God has placed on your life” is for them to see you doing it. How do I know this is my call? It is in line with what God has asked me to do—where He’s led me. Women respond, are encouraged, and are drawn closer to Christ. How do you know your call? It is in line with God has asked you to do—where He’s led you. Others respond, are encouraged, and are drawn closer to Christ. So, what do you think? What is the call God has placed on your life? Dear Lord, please help me to recognize the call you’ve placed on my life. Give me the courage to pursue it. In Jesus’ name, amen. 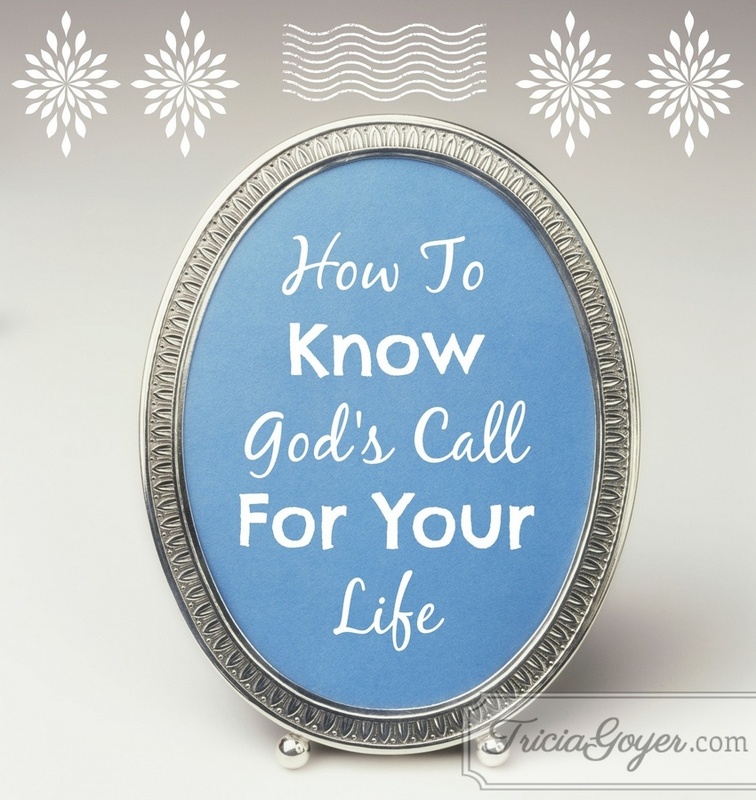 Tricia thanks for sharing your criteria for what constitutes God’s call. Love it! woah great tool in helping me know my call. thanks a million. may they all mighty richly bless n keep u! !